Alcohol trade bodies have slammed today’s Scottish government proposal for a minimum price on alcohol. The Scotch Whisky Association says the plan is unlikely to reduce alcohol misuse, is probably illegal and threatens one of Scotland’s key industries. The Bill was published today and can be viewed here. The industry body noted that Scottish government-commissioned research shows minimum pricing having no impact on the proportion of heavy drinkers in the country. Minimum pricing on spirits has previously been ruled illegal by the European Court of Justice as it is seen as a barrier to trade which should not be used when other less trade restrictive means are available. Last week, the UK government said minimum pricing was probably illegal. The SWA said minimum pricing is a misguided policy when health problems and deaths as a result of alcohol misuse are already falling in Scotland. Alcohol related deaths have declined 15% in the last five years. Gavin Hewitt, chief executive of the SWA, said: “The Scottish government’s fixation with minimum pricing as the solution to alcohol-related harm is misguided. The impact of recent legislation has not yet been fully felt and many other measures to address alcohol misuse remain untested. 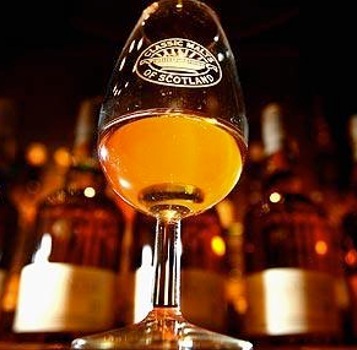 “The Scotch whisky industry agrees that Scotland’s drinking culture has to change. We are working with the Scottish government to deliver that. Minimum pricing is the wrong policy option. It will not achieve the objective of a more healthy, positive and responsible attitude to alcohol. “Claims that Scotch whisky as a ‘premium product’ has nothing to fear from minimum pricing are misplaced. Within Scotland less affluent consumers who buy own-label Scotch whisky will be hit, while the knock-on impact of copycat trade barriers overseas could lead to enormous damage in the industry’s exports markets. The SWA was backed by the Wine and Spirits Trade Association in is condemnation of the Bill. WSTA chief executive Jeremy Beadles said: “As millions of families face the toughest economic conditions for a generation the Scottish government is determined to press ahead with legislation that will punish the vast majority of responsible consumers with higher prices. “Yet there is no evidence minimum pricing will address the problem of alcohol misuse and the most recent government figures show alcohol consumption per capita fell in Scotland last year. Speaking to the drinks business yesterday, Campbell Evans, director of government and consumer affairs at the SWA, expressed his belief that the introduction of a minimum price on alcohol is likely to be blocked by the European courts, if not even the UK’s own government. “The Health and Sport Committee will look at it in February and will hold a number of discussions on the measure, but with the Scottosh National Party holding a majority on that Council, we can reasonably expect they will approve it. It then, however, has to go before Westminster who are more aware of the legal implications of the measure in regards to international trade laws. A first attempt by the SNP to push through a similar price proposal failed during the last parliament. MSPs rejected the idea before the May election, but after the SNP’s majority win at that election this fresh proposal is expected to be passed by parliament before next summer. At this stage, the Scottish government has not stated a recommended unit price. During the first attempt to bring forward the legislation, the SNP minority government proposed setting the minimum price at 45p per unit. A revised unit figure will be suggested in the new year. Politicians can be relied upon to ignore the evidence, ignore public opinion and carry on in their own path built on prejudice and ignorance – let us not forget wars have been declared using these principles… How can any democracy work when the elected body ignores everything, even the research that the politicians have comissioned – because it disproves their petty minded theories? There are many vested interests at work here but in order for sense to prevail we all have to look at the evidence in a dispassionate manner and reach a conclusion without allowing pre-conceptions to prevail – sadly those in the position of making this decision are not suitably equipped.